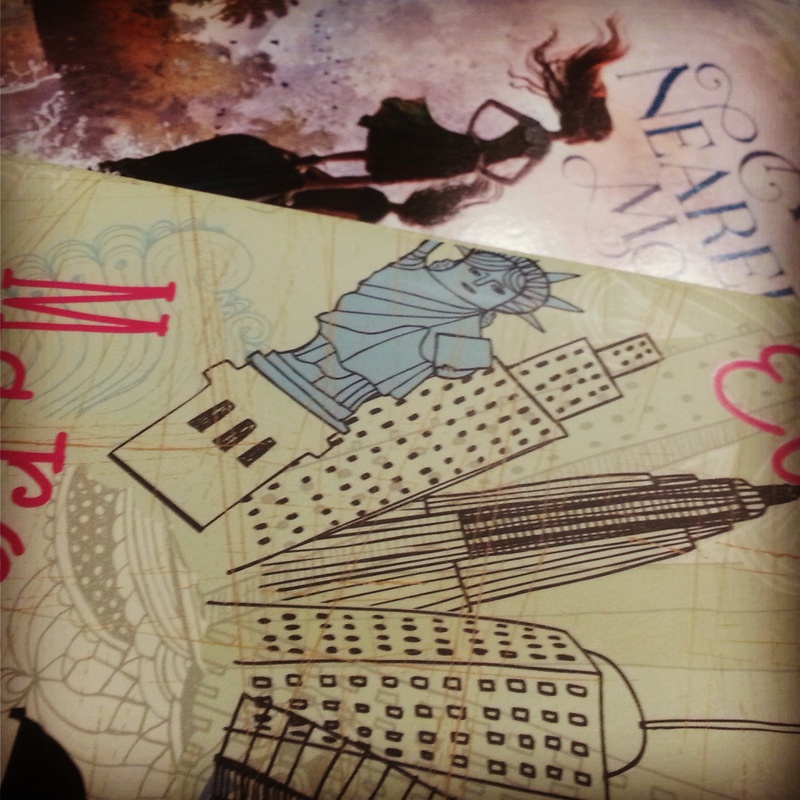 ← Reading Wonderful YA Fiction! Maggie Sanders has it all: wonderful parents, a beautiful home, great friends, a promising professional career in soccer, and a bright future ahead. 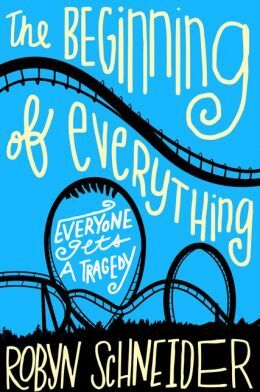 Her booming confidence even leads her rebellious streak towards an epic high school prank— an illegal prank, which leads her directly to a parole officer. And so Maggie’s perfect life begins its decent into darkness, as a bought of bacterial meningitis proceeds to take her sight, her friends, and her bright future along with it. However, as circumstances would have it, it is after meeting with her parole officer— and falling not “with the dignity and grace of a self-respecting blind girl,” but instead, with a four-letter word and loud crash onto the floor— that Maggie meets Ben. Benjamin Milton is a ten-year-old boy who just happens to think, “That was the most majestic fall I’ve ever seen.” He also happens to have Spina bifida – and excellent taste in hats. Yet, Ben’s most notable quality is that Maggie can actually see him… in bright and vivid color! Being the only person Maggie has seen in six months, and because of his bubbly, energetic, and refreshingly upbeat personality, she and Ben become fast friends. She meets his mom, and to her surprise, his older brother: Mason, lead singer of the Loose Cannons, and boy of her dreams… also the boy who thinks she’s just a fan girl faking her blindness to take advantage of his naïve little brother. Mason, therefore, exudes all kinds of loathing whenever she’s around. How can she explain she really is blind… around every other human being but Ben? Is Maggie delusional? Concussed? Hallucinating? Or is this a miraculous road to recovery? 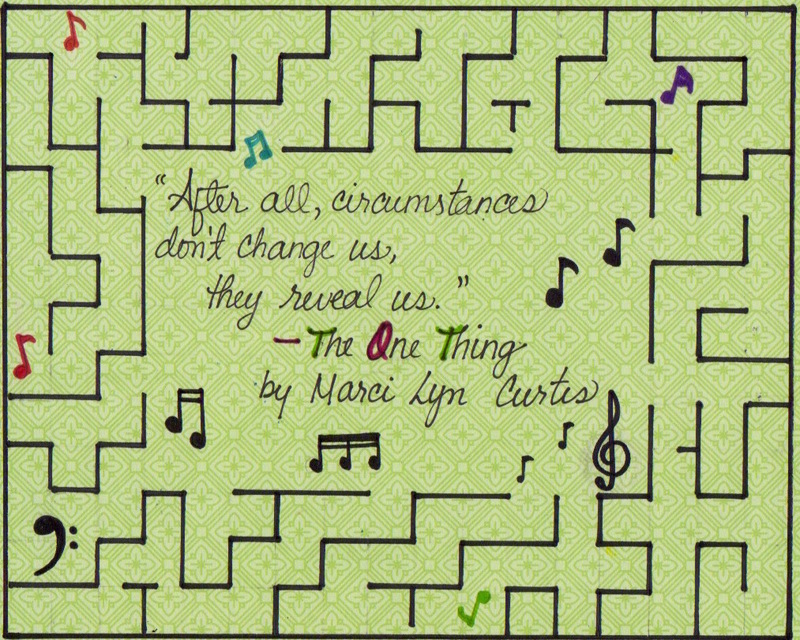 In The One Thing, Marci Lyn Curtis creates a world we are hesitant to imagine – after all, we are (most of us) naturally inclined to want to visualize Maggie’s world… yet that is exactly what she needs us to understand: there is nothing to see. Not until Ben comes into Maggie’s world, and she doesn’t need to worry about bumping into flowers, slipping on the floor, or not knowing what she is eating… not when Ben is around. Whereas, without him Maggie’s world is empty – there is no laughter, no color, no passion for random things like Doritos, or hats with funny sayings. There is just a sense of loss for what used to be… and a lack of interest in what still could be. While Maggie hides behind her witty answers and sarcastic remarks, it is through her relationship with Ben that she realizes just how selfish she has been. In preventing anyone from throwing her a pity-party, she has actually alienated her family and friends, ignoring their needs and their losses. Ben teaches her that although there may be loss – and he knows all about that – everyone of us can still have “a thing” that drives us forward and gives us a reason to get up every morning. These things may change: circumstances arise, and sometimes loss is inevitable.